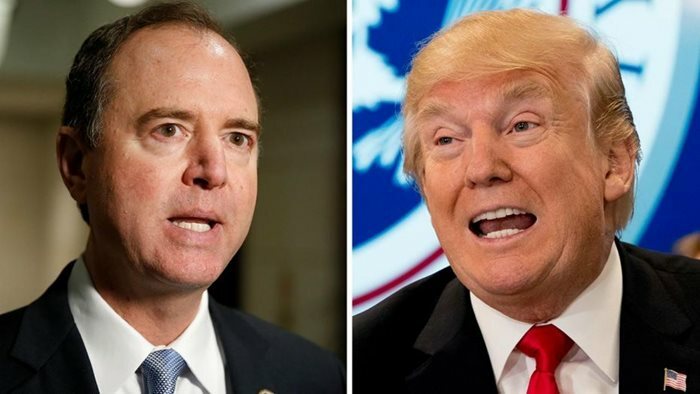 Harassment of the POTUS: Adam Schiff Goes Off The Rails—AGAIN! Trump himself expressed his frustration on Twitter early Thursday. A House Intelligence Committee aide told CNN that the panel has hired individuals with experience on the NSC staff. They added that the committee would not discriminate about hiring individuals from the current administration. Schiff couldn’t be reached for comment and his spokesman declined to comment. One official affiliated with the panel who asked not to be identified discussing its work said the committee has hired staff for “a variety of positions” including oversight work and investigations. The official said none were hired directly from the White House and that it was appropriate to seek people with prior National Security Council experience for agency oversight. One Democratic official familiar with the committee’s activities who also asked not be identified discussing its work said the hiring reflects a longstanding reality that people in government change jobs throughout their careers. There is no intent to try to obtain backdoor information about Trump from new hires, the official said. Grace served on the National Security Council from 2016, the tail end of the Obama administration, until last year, according to a biography at her most recent employer, the Center for New American Security. She is a specialist on China and North Korea. She only recently began working for the Intelligence Committee and a reporter who attempted to reach her by phone was referred to a Democratic spokesman for the panel. Schiff and the leaders of other House committees this week are ramping up investigations of the president that were widely expected following the Democratic takeover of the chamber in the November midterm elections. Schiff on Wednesday said his panel is probing whether foreign governments or individuals had improper leverage over the president or his business interests. That’s a sea-change from last year, when the Republicans who controlled the panel closed an investigation into Russian interference in the 2016 campaign with a report asserting that Special Counsel Robert Mueller’s parallel criminal investigation was tainted by anti-Trump bias.